It can be difficult to know for sure if symptoms are from unbalanced hormones. After analyzing tens of thousands of women with hormonal issues, I have discovered that there are four symptoms that consistently indicate hormonal imbalances. I use the term ‘regardless’ weight gain because women with bad hormones usually gain weight regardless of what they do. Women with a deeper hormonal problem going on tell me they gain weight just looking at food. “I’m tired all the time." “I wake up exhausted, it’s like I didn’t sleep at all”. When your hormones are messed up...you’re tired. You simply don’t have the same energy you used to have or you're tired all the time. Fatigue is a big indicator. I see a lot of people in my clinic who can’t sleep. They can’t fall asleep. They can’t stay asleep. And even if they do fall asleep, they wake up exhausted. If your hormones are off, it’s almost impossible to sleep well. Women with hormonal issues, especially ones that have been around for a while have some kind of brain fog. They may not know how to describe what they're experiencing with their brain, but something isn’t right. They may be more forgetful or they don’t seem as sharp. Imagine finally being able to live the life you desire and not be held back by your hormones? The Fix Your Metabolic Storm program is based on 40 years of clinical practice and analyzing tens of thousands of patient visits. This program has been tried and tested on literally thousands of women from all over the world. Sign Up For Our FREE Metabolic Storm Program! There are a lot of health supplement companies to choose from. But here’s the #1 reason you should choose us. Most other supplement companies never meet their customers. If their stuff doesn’t work…it’s no big deal. Many of them know little about health…and if they do, they’ve never been involved in any form of patient care at all. They’re strictly a supplement company. We’re different. Our clinic has been around a LONG time (since 1911). Like many of you, we were frustrated by the lack of results our patients were getting with the other company’s products. Their supplements either weren’t strong enough or in the wrong form (which made them impossible to absorb). And since they had no actual experience dealing with patients and their symptoms, their formulas were also lacking key nutrients. So…we made our own supplements. What happened next blew us away. We knew what we needed to no next. We had to make our formulas available online to everyone who couldn’t travel to see us in person. At MARTIN CLINIC, every formula was created using our long history of patient care. We knew what worked…and what didn’t. After helping tens of thousands of women, I've discovered an unspoken hormone epidemic affecting millions. Most are frustrated because doctors don’t believe them or every test comes back normal. Women with bad hormones have a problem with something I call the ‘Bermuda Triangle of hormones’…the Adrenals (cortisol), the ovaries (estrogen), and the thyroid. Rarely is the problem just the thyroid, or just the adrenals, or just the ovaries. All three are involved. It’s the way they’re connected to each other. 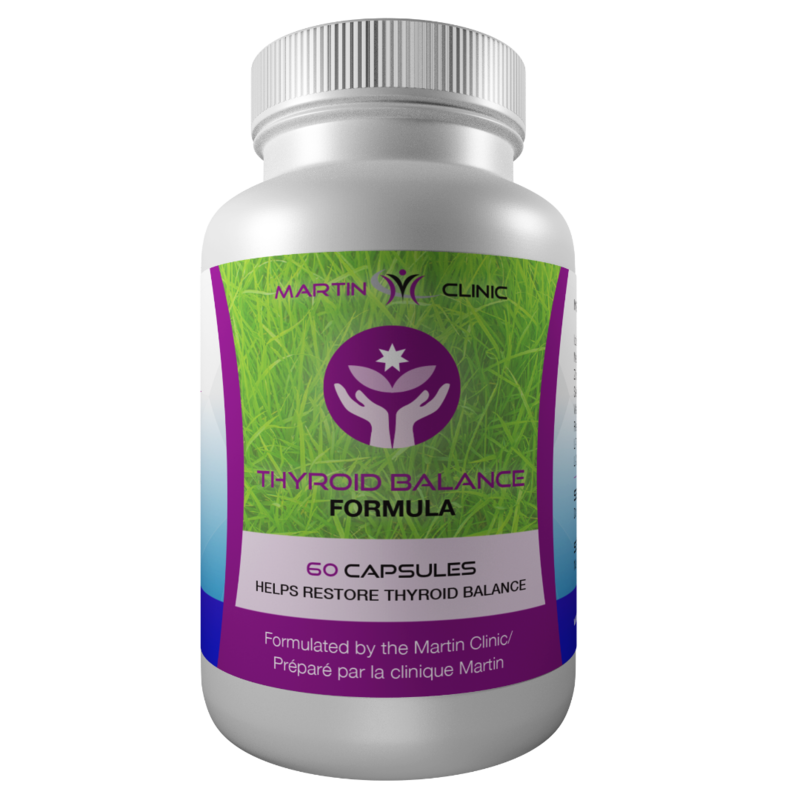 All natural product formulated to help balance the thyroid. 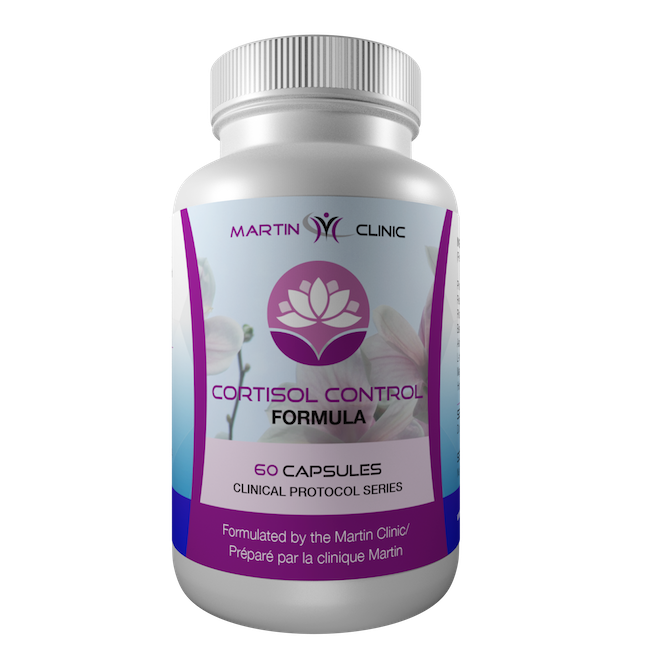 All natural formula to help balance cortisol levels. All natural product formulated to help restore estrogen balance. "I've only recently started to take this remarkable formula and am noticing a great improvement already. Lab results showed that there was nothing wrong with my thyroid function but I certainly didn't feel that way. I'm almost back to my "old" self already - what a great difference. I'll certainly continue with this product - many thanks !" "Works really well. I've had experience with low quality product before from other suppliers and this is the only product I've had success with ! Great product and worth every penny! :)"
Try our line of supplements by Martin Clinic. You'll love it.